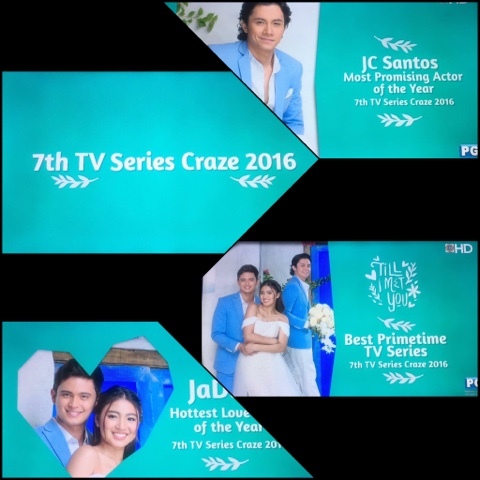 Our very own The 7TH TV Series Craze Awards 2016 was featured in two of the ABS-CBN Primetime shows namely "Till I Met You" and "FPJ's Ang Probinsyano." The said two Kapamilya teleseryes bagged the most number of awards from different categories. Our very own award is now on its 7TH year. It recognizes different TV series, actors, actresses, and stars who truly created an impact on the said year. It is my annual tradition of chosing those best among the rest! It's great to know that the huge TV network like the ABS-CBN accredit our awards. 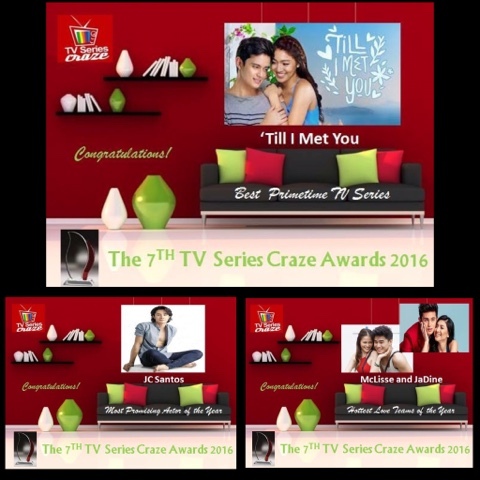 "Till I Met You" won three major awards namely Best Primetime TV Series, one of the Hottest Love Team of 2017 for JaDine, and Most Promising Actor of the Year for JC Santos.